Wear this Nomination Charm on your Classic Nomination bracelet. This composeable range allows you to customise your stainless steel bracelet with interchangeable links, to make a fully-customised bracelet that captures your personality and suits your style perfectly. 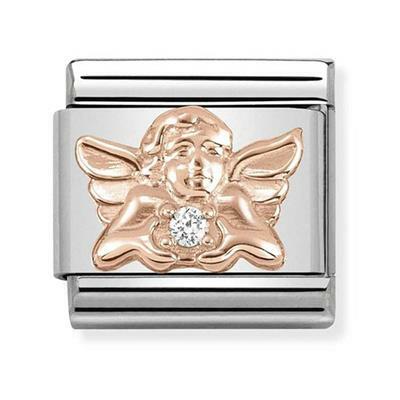 This link was beautifully handmade in Italy, with a base of stainless steel and a rose gold angel with white CZ design. Packaged in official Nomination Italy packaging.